As legendary fashion consultant Candy Pratts Price once declared in the 2009 Vogue documentary The September Issue, "September is the January of fashion." Nothing rings this statement more true than the kickoff of New York Fashion Week. For seven days, the fashion world's greatest editors, bloggers and insiders take over the downtown streets of Manhattan to discover the upcoming season's latest trends and styles from designers like Michael Kors, Calvin Klein, Tory Burch, Ralph Lauren and more. In the midst of the glossy shows and crazy street-stylers were some of Romio's top Fashion Experts. Yes, in order for Romio's collection of style connoisseurs to recommend the city's top Hairstylists, Makeup Artists and Personal Shoppers, these Experts need to put themselves in fashion's front lines. Check out the impressive Romio Fashion Experts features below! Mary Gui in a colorful vintage dress takes a moment to smile at Cosmopolitan's street-style photographer before heading inside for the first day of shows. 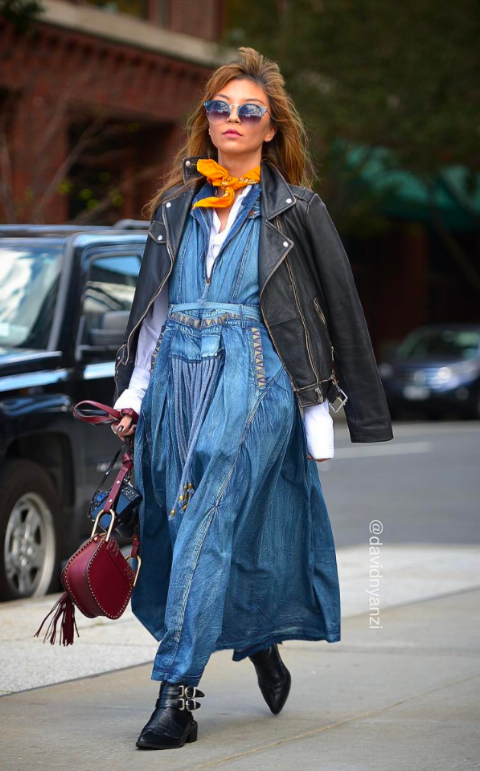 Olga Slesarenco was also captured by Cosmopolitan's street-style photographer. She opted for an ultra-feminine look topped with fall's favorite fabric – tweed. Not one to be left out, Ulia Ali's bold statement shoes also made it on Cosmopolitan's New York Fashion Week street-style roundup. On the go! Suzanne Spiegoski is captured by London-based street-style photographer David Nvazi in between shows. NYFW is always more fun with friends. 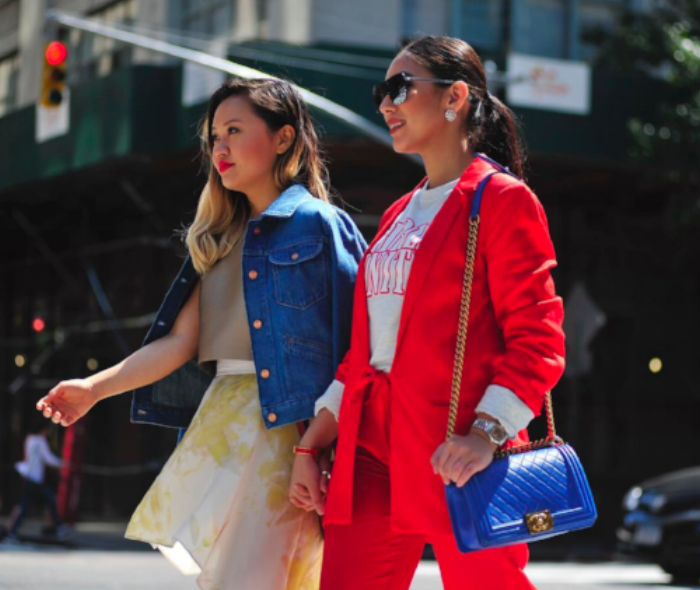 Romio Fashion Expert Mariann Yip tackles her busy schedule with her partner-in-crime and fellow Romio Expert Sunnya Sultan. Selma Ali takes a break between presentations to pose for NYC-based street-style photographer Richie DiMaggio. Natalia Levsina shows off her professional side before stepping into a show. Photos courtesy of: Cosmopolitan, Pastiche.today, Richie DiMaggio, David Nyanzi and Abdel Abdulai.